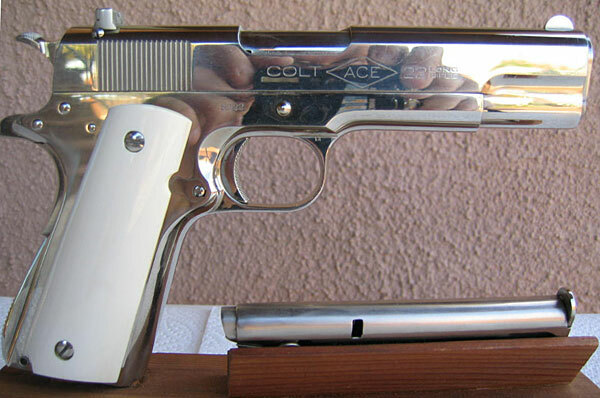 Pre-war Ace Model .22 factory nickel, serial number 5222 - circa. 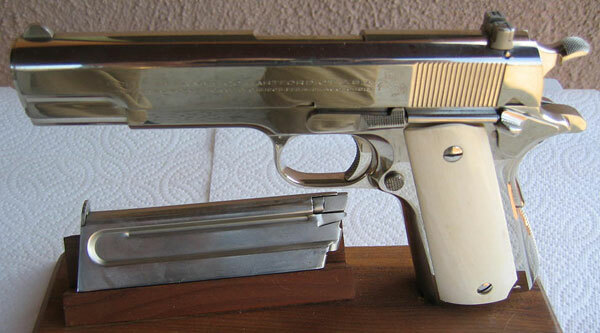 1934, with original finish, early style front sight and nickel plated magazine. 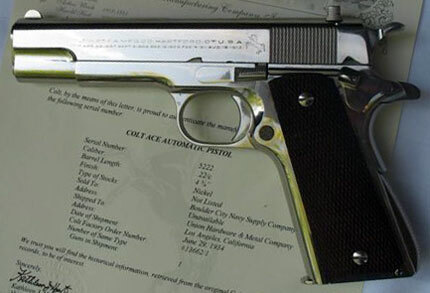 The left side slide marking has two lines, one is the address, the other just under, are the patents (1913), the rampant Colt is just after these two lines and the right side is marked: Colt ACE .22 Long Rifle. 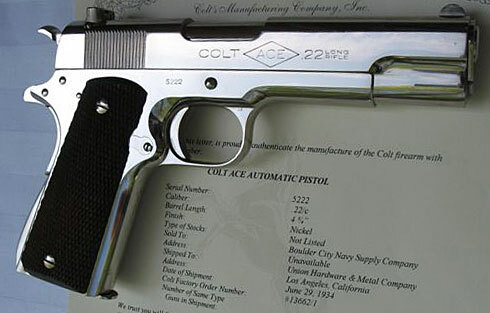 Right side of Colt Ace serial number 5222. 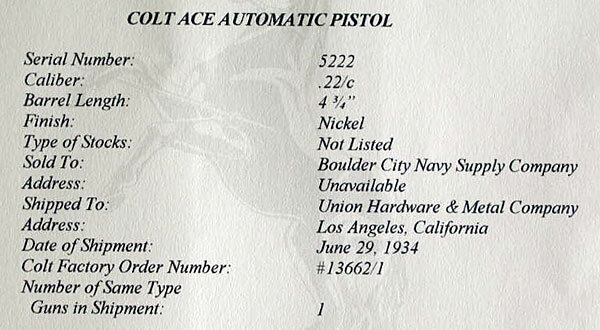 Colt Factory Letter for Colt Ace serial number 5222 - Pistol was a single gun shipment with nickel finish to Boulder City Navy Supply Company, address unavailable, Union Hardware & Metal Company, Los Angeles, California, June 29, 1934. Rear of gun showing hammer, grip safety and checkered mainspring housing.